Parc Lofts are private urban residences by Stanley Park (25 Stafford St), overlooking the city skyline. There are only 103 suites in this small high design development. 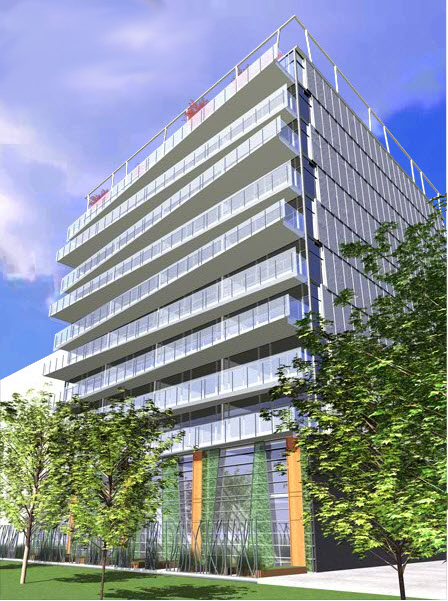 Steps to the residences of Parc is Toronto’s most exciting community – King Street West. The ceilings soar to almost 10′ and the units have a very high level of design finishes. This jewel box building expresses the best in modern architecture. All suites feature huge balconies, patios or terraces, gas barbeque nozzles and gas cooking.